Dallas Landscaping Serviceowner Maria Bargellini, President of Dallas Curb Appeal, describes the French Drain. The French drain is not from France. In fact it was popularized by Henry French (1813-1885), a lawyer and assistant US Treasury Secretary of Concord, Massachusetts, in his book Farm Drainage. A French Drain is a trench dug in the ground either around the perimeter of your house or between your house and your neighbors property. 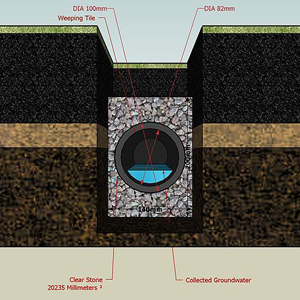 The drawing shows the cross section of a French drain. 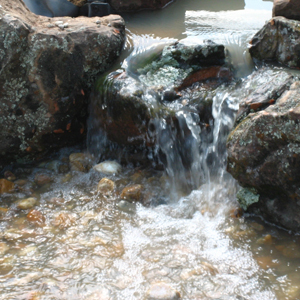 Gravel is used to envelope the perforated pipe to slow down and filter the water and debris that enters into the pipe. The pipe is to be installed with a sufficient slope to move the water to the desired location, usually an alley or to a pop up in the lawn area. French Drains are the most popular and affective form of drainage solution used today. The most common installation area is between two neighboring properties. In most cities it is against local ordinances to drain onto someone else property. Always take that into consideration when adding additions, pools, or any other type elevation change. Not doing so is a good way to turn Neighbor into your enemy. 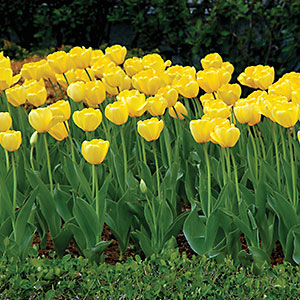 It is good to plan your annual flower bed says Dallas Landscape DesignerMaria Bargellini, President of Dallas Curb Appeal. Dallas Curb Appeal offers a variety of landscape services to clients in Dallas and Collin county Texas. Dallas Curb Appealis a Landscape Company that has been in business for over 10 years providing a variety of landscape and and design services. If you want the very best, trustworthy, reliable, and professional call Maria Bargellini at 214-257-8155 and learn how you can make sure to have the most beautiful yard on your block.